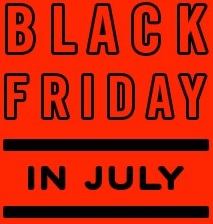 Black Friday in summer. Have you ever heard it? There is no need to wait until November. Forever 21 Canada has prepared a surprising offer for customers! Enjoy special savings up to 70% off! Offer is valid online only. Visit the official website a find out more information about this amazing offer! Offer is time limited, so there is no time to hesitate! Plus, get free shipping for orders of $21 or more. Official source of the information is Forever 21 Canada. More information about this promotion on the official website.